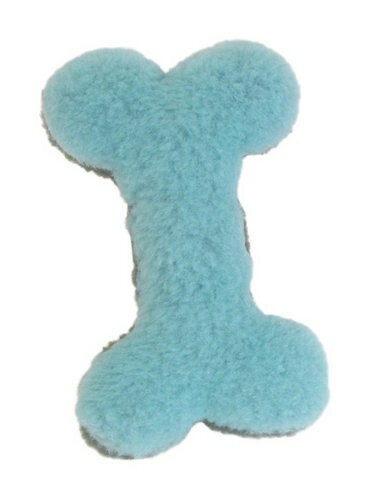 Every dog loves a bone, but you will love this plush dog toy even more since it is an environmentally friendly Eco Bone! 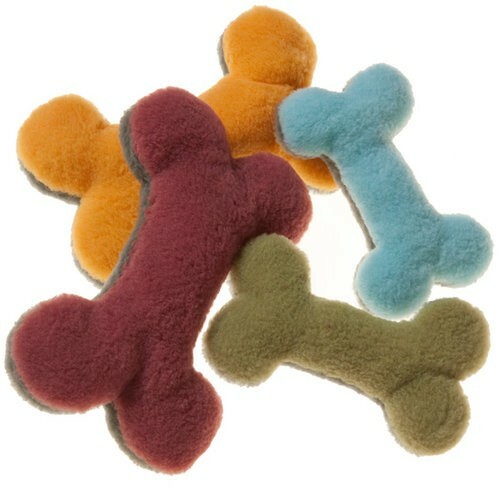 Dogs of all sizes will rejoice when they receive a 9.25” Eco Bone, or for the smaller pups a 7.25” Eco Mini Bone toy. Strong fabric made up of 100% re-engineered recycled IntelliLoft® fibers surrounds a squeaker, for an eco friendly, high quality dog squeak toy. Proven SAFE! These stuffed dog bone toys have been rigorously tested from their fabric outside down to the squeaker in the center. Everything has been inspected by Öko-Tex, a third party ecological certifier. This means worry free play for all your home's inhabitants! Two tone color palette has one side in bungee (dark side) and allows you to choose from the four available bright colors on the other side. These bright color combinations radiate energy and stand out from the crowd.